The Federal Trade Commission netted its largest violation penalty to date, settling with Google on charges the Mountain View company misrepresented to Apple Safari users that it wouldn't place tracking cookies or targeted ads on the browser. The company agreed to pay a $22.5 million "civil penalty" to the FTC, a record sum for a violation of a FTC order. According to a FTC press release, the commission is partaking in ongoing efforts to "make sure companies live up to the privacy promises they make to customers." "No matter how big or small, all companies must abide by FTC orders against them and keep their privacy promises to consumers, or they will end up paying many times what it would have cost to comply in the first place," said Jon Leibowitch, FTC chairman, in the release. The FTC charged that, for several months in 2011 and 2012, Google placed a particular advertising tracking cookie on computers belonging to Safari users who visted sites within Google's DoubleClick advertising network. Google had told these same users they would automacitally be opted out of such tracking thanks to Safari's default settings on Macs, iPhones and iPads. According to the FTC's complaint, Google told Safari users that as long as they didn't change their browser settings - something Safari's default settings to block third-party cookies would take care of - they wouldn't be cookie tracked. Furthermore, Google told the FTC it was a member of the Network Advertising Initiative. The initiative requires its members to adhere to a self-regulatory code of conduct, including the disclosure of their data collection and use practices. Despite these promises and assurances, the FTC alleges Google placed ad tracking cookies on consumers' computers. In many of these instances, Google bypassed Safari's default settings, exploiting an exception to the brower's default setting to palce a temporary cookie from the DoubleClikc domain. 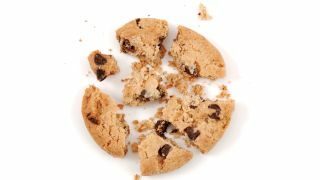 That intial cookie then opened the door to all DoubleClick domain cookies, including the ad tracking cookie Google said would be blocked from the Safari browser. The FTC charged Google's misrepresentations violated a settlement it reached with the agency in October 2011 barring Google from - among other things - misrepresenting the extent to which consumers can exercise control over the collection of their information. The earlier settlement resolved charges from the FTC that Google used deceptive tactics and violated its privacy promises when it launched its social network, Google Buzz. While the punishment seems to fit the crime, Google did make $37.9 billion in revenues - a portion of which came from targeted advertising - last year, making $22.5 million a relative drop in the bucket.